When it comes to capital, alternative lending is a time efficient and flexible choice for obtaining business funding. Unlike traditional lending organizations, the online alternative lenders approve loan requests quicker, making funds available almost immediately. Moreover, lenient eligibility criteria allows even business owners with bad credit history get a loan. Plus, by choosing the right small business lending option, you can get convenient repayment terms and low interest rates. Instead of using a business advisor, this post covers the top online alternative loan options to make your selection easier. Before we get into your business lending options, you will probably want to know why alternative loans are so popular with business owners. As you can imagine, all small businesses need cash in the bank for growth, restructuring or any type of acquisition. Without the proper financing, the business will struggle to operate due to poor cash flow. When a business owner applies to a traditional bank to get approved for a loan and gets rejected, they need more small business loan options than just low interest credit cards. Alternative lending is a category referring to a group of lending sources other than the traditional bank loan, whether for a business acquisition loan or simply a traditional business loan. These options typically include merchant cash advances, peer to peer lending, crowdfunding, factoring, business credit lines and other types of small business loans. While many small business lending companies are quite young in the industry, some of them are financed by companies like Dun & Bradstreet. Why is alternative lending so popular with small business owners? One of the major reasons is the faster loan processing times. It is a much quicker turnaround when you apply for alternative lending solutions than what you would expect with traditional business loans. Traditional lending solutions can take weeks, if not months, to come to fruition. Alternative lending allows you access to the money you need quicker. This is always popular with small business owners, who typically have more issues with cash flow management than their larger-sized peers. Alternative lending has been a growing industry over the last few years, as banks have continually offered loans to fewer and fewer hopeful entrepreneurs. Thankfully, this has been an incredible help for many entrepreneurs starting an internet business or any other organization. Over the past five years, traditional banking institutions have approved only 13-20% of applicants. Alternative lenders, on the other hand, have accepted nearly 65% of small business applications. Alternative lenders were responsible for $3 billion just three years ago, and that number has continued to grow. Online lending, in particular, is expected to be responsible for around $200 billion of funding by 2025. Clearly, this fast-growing industry is sure to be an excellent option in 2017. 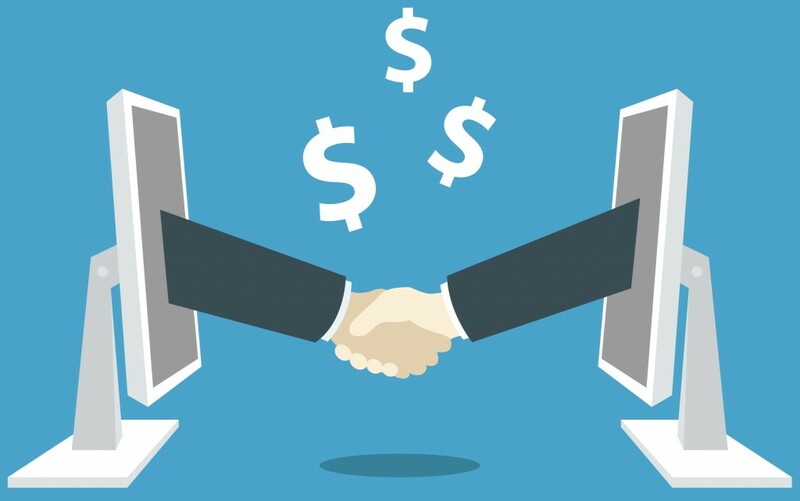 Here are some top alternative lending options who offer online platforms to get cash fast. If you’re interested in learning about more types of loans, check out our post on business loans. It’ll give you an idea of what the latest small business trends are in terms of funding your business. Based in Irvine, California, Balboa Capital specializes in offering alternative loans to businesses of all sizes. Business owners can apply for equipment leasing and franchise financing too. Its flexible alternative loans can meet working capital needs of small businesses across most industries. Even with bad credit and limited assets, a business seeking capital can easily obtain unsecured loans by applying online. Above all, a variety of repayment options and no prepayment penalty Balboa Capital one of the best alternative lenders. Dealstruck’s innovative online platform is ideal for obtaining small business loans up to $250,000. Additionally, its alternative business financing extends an inventory line of credit and asset based line of credit at flexible pricing. Each of the loan comes with tailored underwriting to suit borrower’s unique needs. When it comes to repayment, longer alternative loan terms and fixed monthly amounts reduce financial stress on small businesses, so you do not have to worry about making your VoIP phone service payment each month. Most importantly, Dealstruck’s fast fund disbursal capacity that allows business owners get loans on a short notice. Established in 2009, Kabbage has gained an unbeatable reputation as an online alternative funding company. Mainly, it offers cash advances ranging from $2000 to $100,000 for a six month loan term. Of course, its hassle free 100% automated online business lending application process saves time. On top of that, loans are approved in minutes based on real time business data. Once approved, you do not need to pay any prepayment or alternative loan application fees. Surely, the company’s quicker approval and dedicated customer service offers greater convenience to borrowers. Fundation offers fixed-rate alternative business loans online within three days of application. Businesses with a good credit record and annual revenue above $100,000 can obtain up to $500,000 as working capital from this lending provider. This is why it is so important to maintain your corporate finance carefully when starting a business. Depending on your business’s financial status, the interest rate will vary from 7.99% to 29.99%. Certainly, Fundation’s three step loan application simplifies business funding process. With large loan amounts, variable interest rates and quick funding process, they are one of the popular alternative lenders in the marketplace. Rated A+ by Better Business Bureau, OnDeck is another highly credible lending source. This online lender customizes lending solutions to your specific business requirements. In addition, it approves alternative business loans within just one business day after applying. Primarily, it offers 3-12 month short term loans and 15-36 months long term loans. Additionally, it provides line of credits up to $100,000 at 13.99% annual interest rates. Several alternative small business lending options and flexible eligibility criteria makes OnDeck a preferred choice of many business owners. Moreover, the alternative lending space is growing with varies business loan companies, Paypal offers or fintech companies. For example, there are a couple lending companies that have recently reinvested into innovative banking technology like Transpay and Prosper Marketplace, which gives users like your better leveraging abilities. On top of that, there are many fintech startups on the rise that could add to the growth of the alternative lending industry. Even in the public sector, institutions are looking for more alternatives that are out there. While looking for an alternative option to secure funding for your free app development software company, you should first consider loan term and interest rates. Next, find out eligibility criteria, repayment options and highest amount of loans available. In addition, inquire if there are any prepayment penalties or application charges. Finally, select an alternative lender who fulfills your funding requirements at convenient terms and conditions. Great Article, Alternative lenders are on the rise… so many businesses are voicing their frustration with banking institutions.. We’re also in the business of alternative lending to small businesses. We’re rated A+ by the BBB and can happily offer another perspective.